Could this bracelet be next must-have item? HOUSTON - We've seen the power of Kate Upton's fashion influence (remember the sweater?!?) 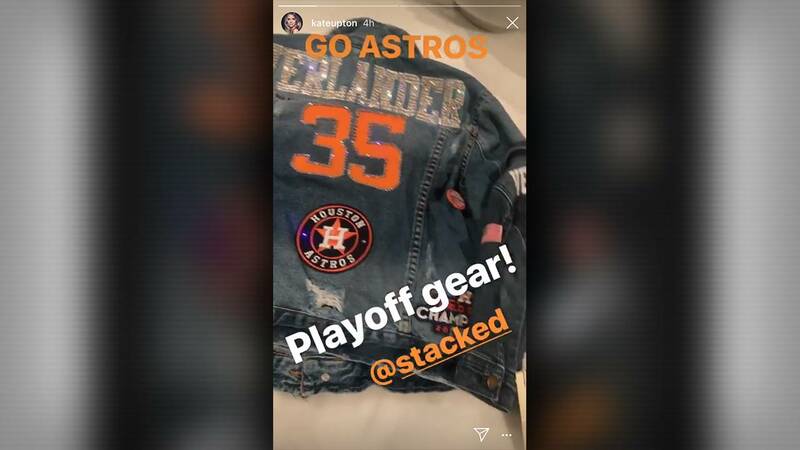 so when she gives hints about what she might be wearing for Game 1 of the American League Division Series, Astros fans pay attention. One item is a fabulous blinged-out jean jacket. It has No. 35 on the back (for her husband Justin Verlander, who will get the start in Game 1). She wore a version of this jacket last year, but this one appears to have a little more sparkle. Another new addition to the back - a "World Series Champions" 2017 patch! The other item is a new game-day accessory: beaded bracelets in Astros colors! Two charms hang from one of the bracelets. One is a No. 3 and the other is a No.5 (another show of support for her baby daddy). 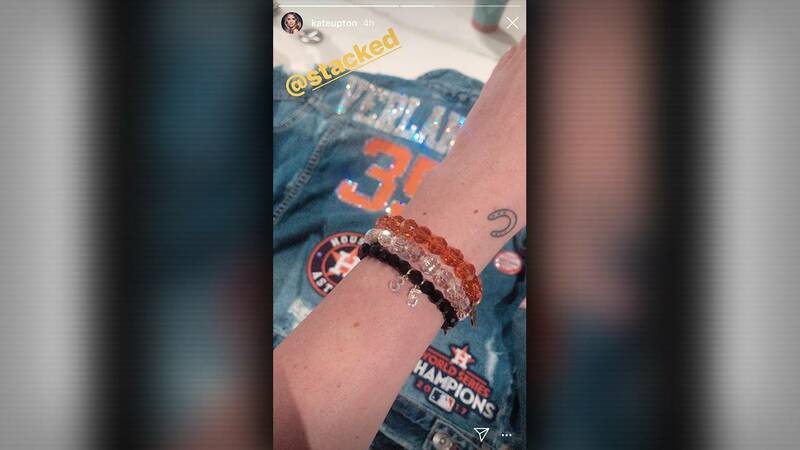 Upton also left a clue as to where she may have found that Astros-themed cluster of bracelets. She tagged @stacked on the Instagram story.